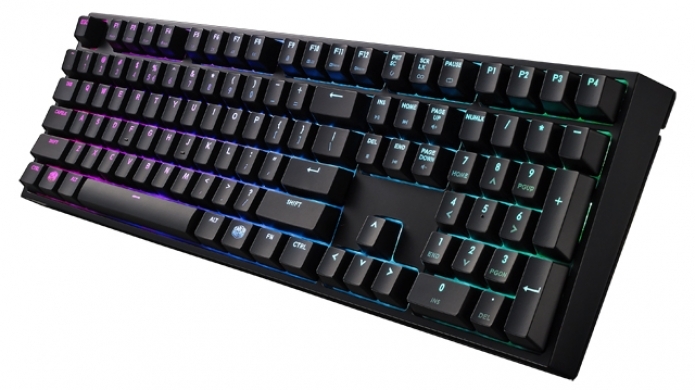 Featuring industry-recognised Cherry-MX switches, that also come in various flavours (not that you'd see them without removing a key), the Masterkeys Pro L RGB mechanical keyboard from Cooler Master is one impressive package. With a solid build and elegant look, the additional RGB lighting pushes it into the realm of 'gotta get me one of these'. Or better yet, if you want to add some class and a little colour onto your desk. Paid review? or just something you guys decided would be cool to do? Does it come with a wrist rest? Hey Blade.... AusGamers reviews aren't paid for. It's just a surprisingly great mechanical keyboard. Surprising in that I had no expectations before unpacking it. Plus, we're gonna have a lot more hardware reviews up including other keyboards. Fair enough. I like my wrist rest that came with my Corsair Lux70 RGB. I just wish we could have some sort of better mechanical switches in mice. I use logitech ones and after a couple of years of heavy use, they start to double click. I was thinking why don't they make a tiny silent cherry switches for mice.